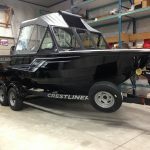 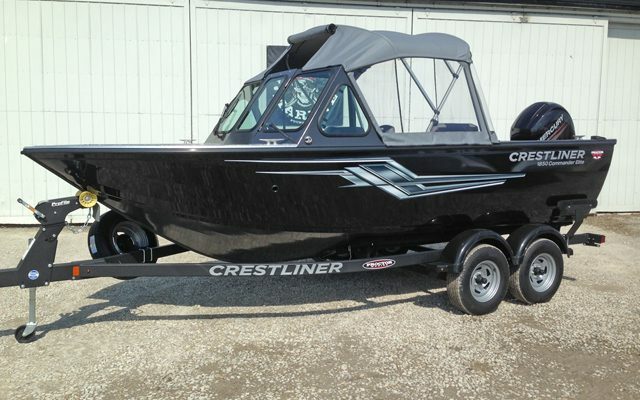 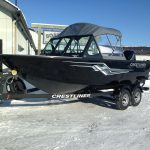 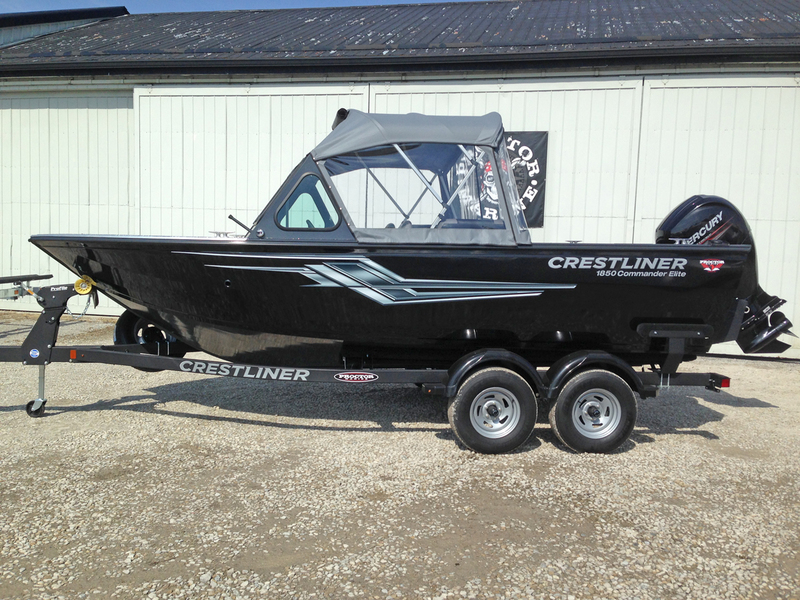 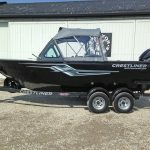 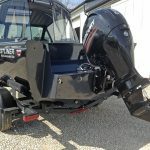 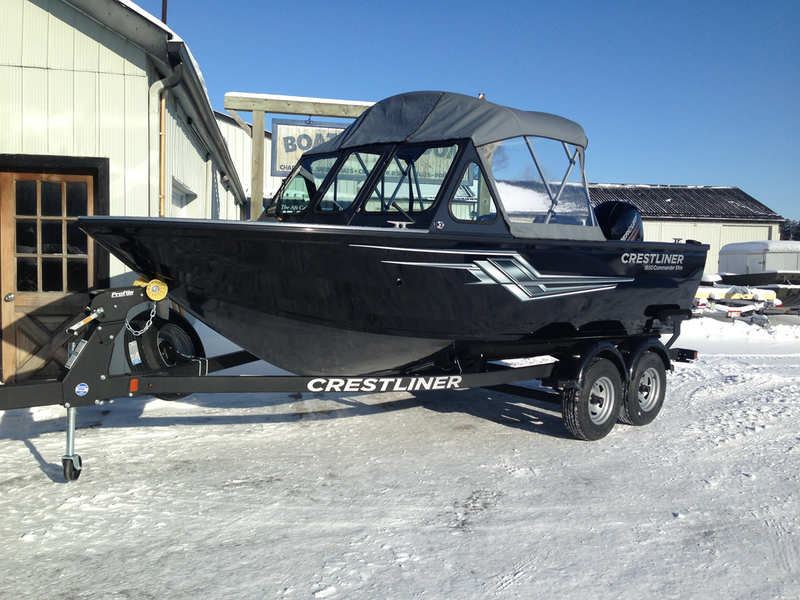 2019 Crestliner 1850 Commander Elite. 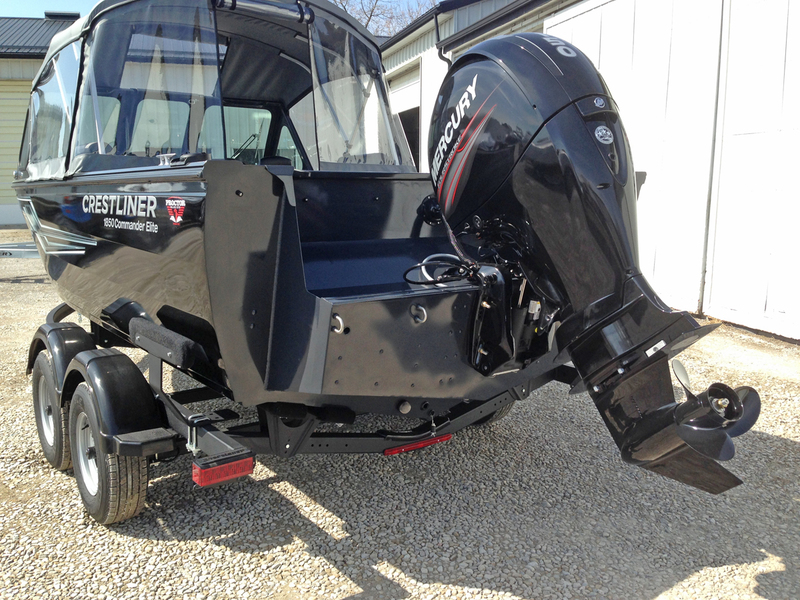 Powered by a Mercury 150 XL EFI Four Stroke and packaged with an upgraded Shoreland’r tandem axle bunk trailer. 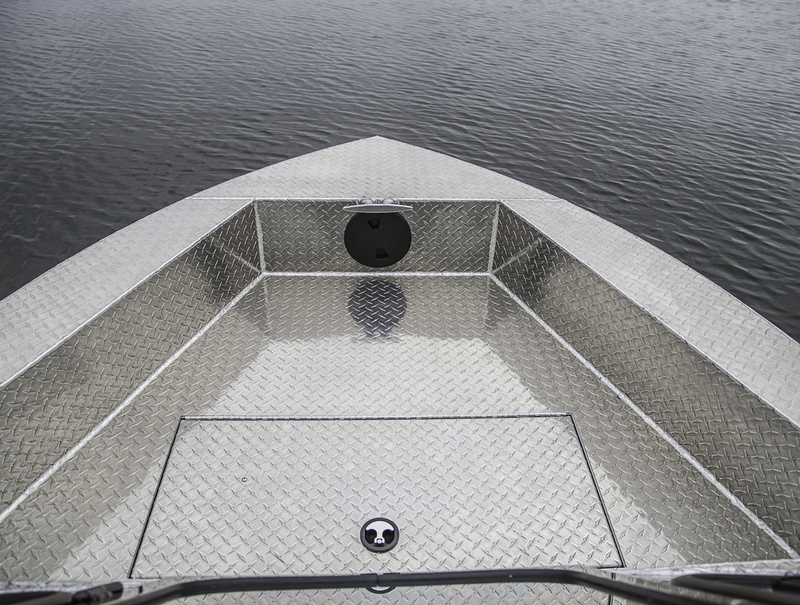 Gun Metal and Black with Gray interior. 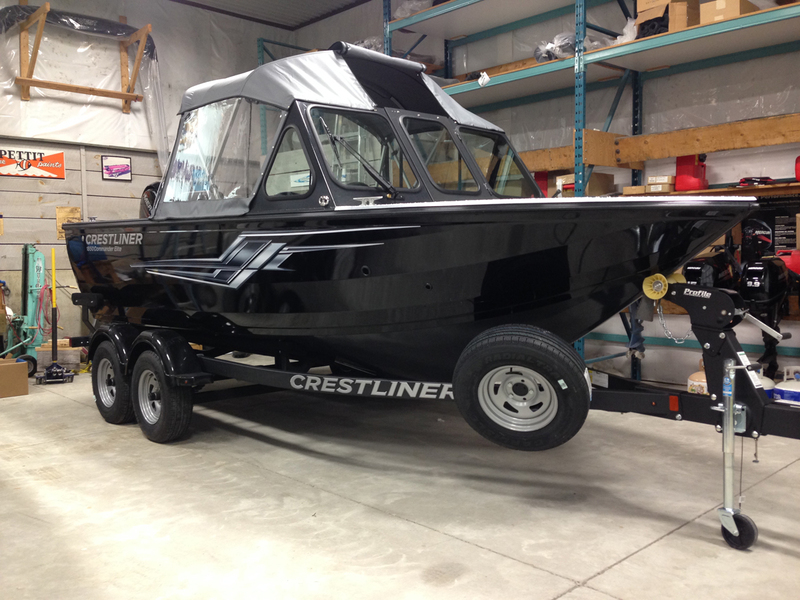 Currently featured on our showroom floor. 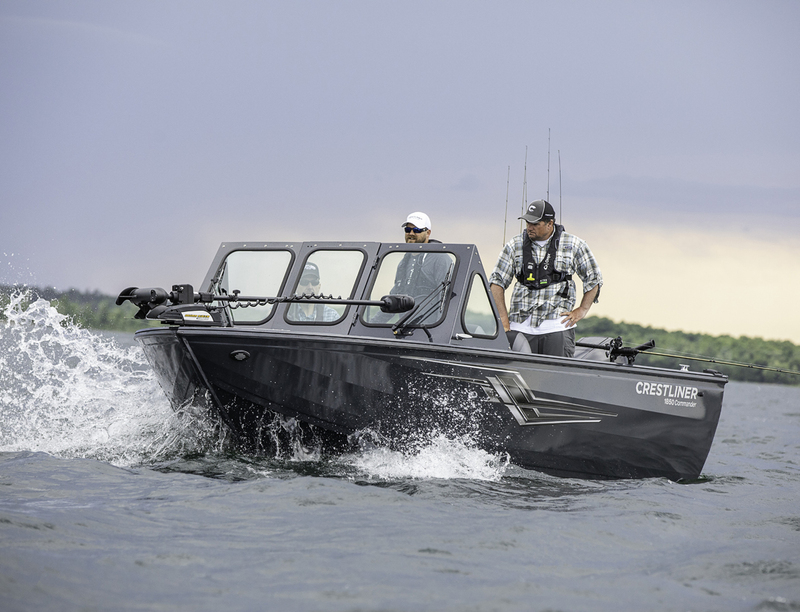 Designed to outlast the weather, there’s no need for rain and heavy winds to chase you off the lake; foul weather comfort is the Commander Elite’s specialty. 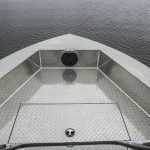 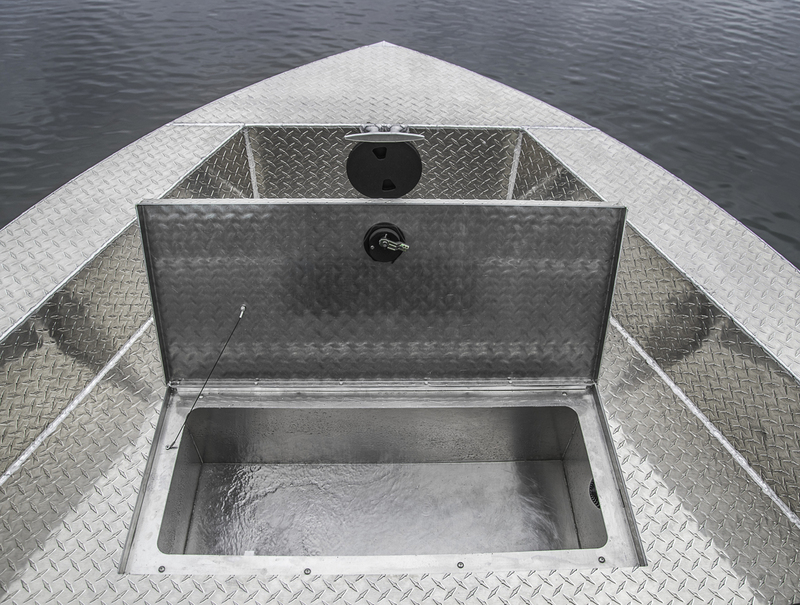 The tall, fully welded windshield seals out the elements and the optional convertible top enclosure helps to keep you and your crew warm and dry. 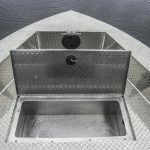 No need to enclose the bow area in bad weather either, the diamond plated bow well is fully sealed and independently drains overboard. 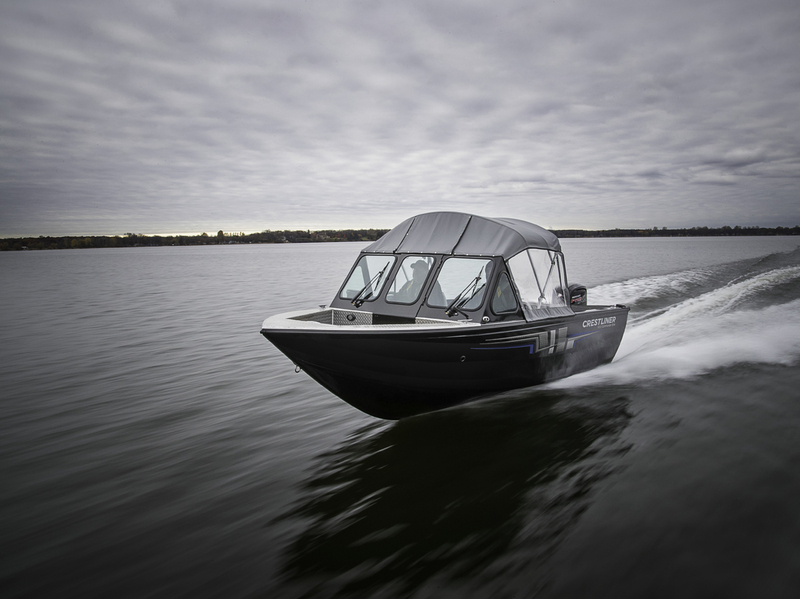 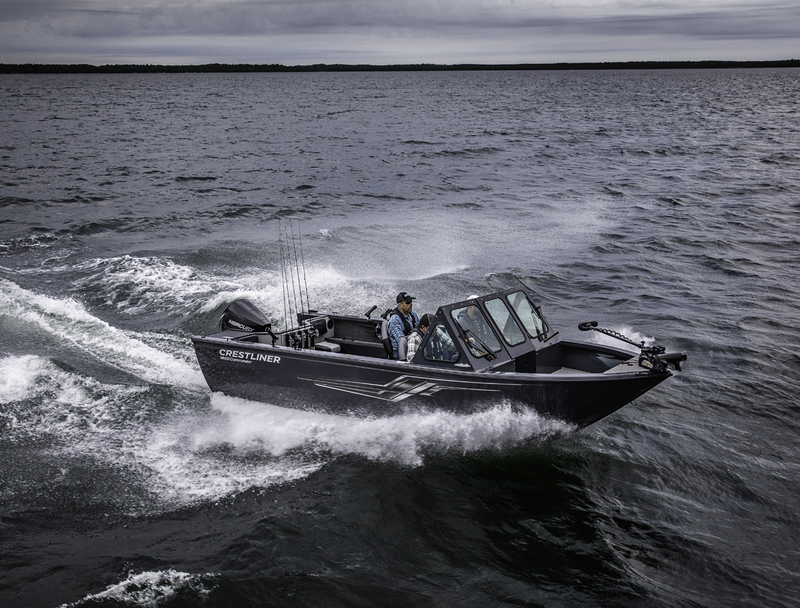 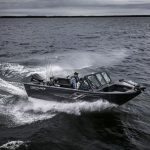 With consoles located further forward than other models combined with the SST Space Saver Transom, the cockpit is more spacious than most 20’ boats! 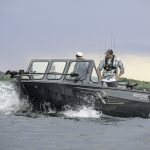 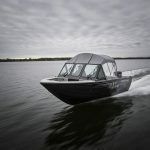 This oversized cockpit makes the Commander Elite equally well suited as a trolling/downrigger boat or a water taxi to ferry company to a land locked cottage destination.